The growth of the internet has had a number of significant impacts on the way in which businesses operate. For many, the internet continues to be simply a valuable advertising tool; it is very rare to find a business that lacks a website now, even if they are using it simply for the purposes of static advertising. However, businesses rapidly realised that the internet presented a wider range of opportunities than this; many moved their entire businesses online, or developed new business models that embraced the internet wholeheartedly. Even for a new business which performs much of its work in the 'real world', the advantages of taking online payments through a business website should certainly be investigated. Taking online payments has a number of associated advantages. In the first instance, a company that is able to accept online payments presents its customers with another method of payment, and this can only be a good thing; providing as many ways as possible for customers to settle an invoice increases the likelihood that it will be settled in a timely fashion. Furthermore, taking online payments will ensure that your business is seen as more attractive by the highly internet-savvy younger generation of customers; they are frequently keen to do as much of their shopping online as they can, and many are wary of traditional payment methods. Finally, online payments are a necessity if the bulk of your business is to be online. Clearly, if you are a photographer then the majority of your work will be done in the field, but if your photography business specialises in something like developing or retouching, then the ability to take online payments will be invaluable. Taking online payments is remarkably easy. If you have ever used eBay, the likelihood is that you have also used PayPal to settle an invoice. PayPal is a commercial tool that is available to all businesses and individuals, without any upfront cost. PayPal takes on all of the administrative side of accepting payment; they deal with credit card authorisation and similar tasks. Businesses can easily add 'shopping carts' to their sites through which customers can purchase products, while being seamlessly guided through the PayPal payment process. Becoming a credit card merchant in your own right is expensive from the outset, but PayPal offers a way for customers to pay using their debit or credit card, while only taking a small percentage of each sale. There are a number of security issues associated with accepting online payments. 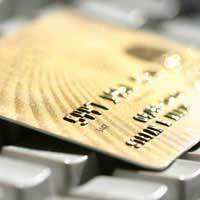 Some consumers are rightfully reticent to hand over their card details online, either because they do not trust the retailer or because they are worried about the potential compromising of the connection. PayPal, however, offers a complete solution to one of these problems and a partial solution to the other; merchants using PayPal never see the card details of their customers; they will receive a name, email and postal address. As such, their consumers need not worry that their details are being exploited by unscrupulous businesses. Similarly, PayPal uses high-standard SSL encryption technology to ensure that the transmission of details occurs in as secure a way as possible. While it is never possible to completely guarantee the security of such a transfer, the use of proper encryption helps to mitigate the potential risks.